These on-ear headphones are lightweight, comfortable, and nice to look at. They deliver great sound quality for a set of Bluetooth cans. Battery life is impressive--and the BackBeat Sense maintains a solid Bluetooth connection when you wander away from your phone. 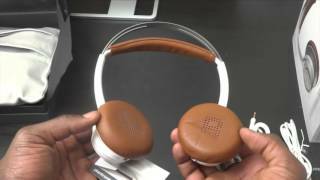 If you are after a beefy bass, you may be disappointed in the BackBeat Sense's performance here. The sensors can behave unpredictably sometimes. Inserting or removing the headphones or accessories from the pouch is a tad awkward because of the large flaps and angled zippers. 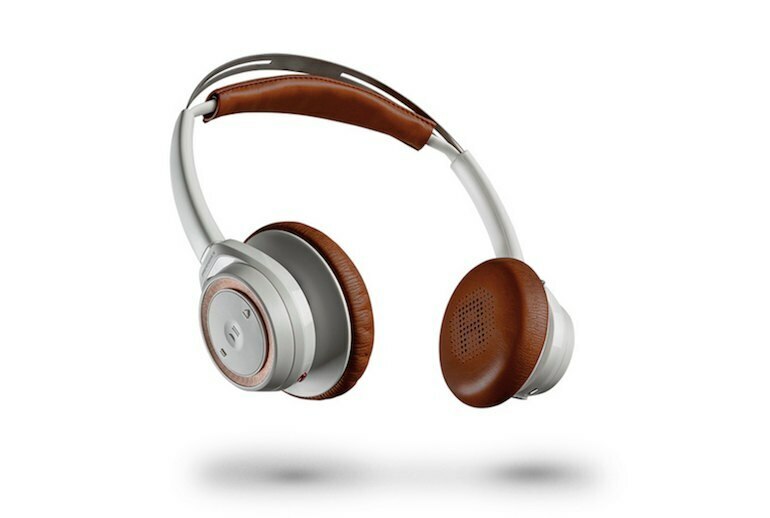 The BackBeat Sense wireless headphones from Plantronics provide long-range connectivity courtesy of Class 1 Bluetooth; you can roam up to 330 feet away from your connected phone. 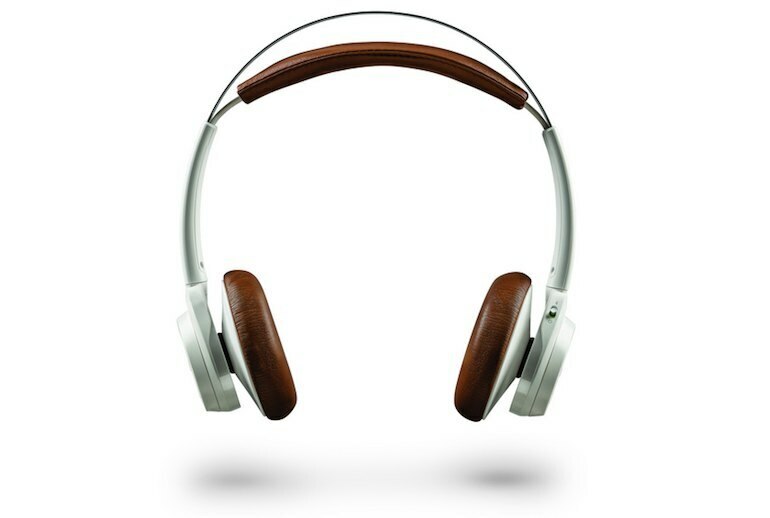 The integrated smart sensor technology responds to your actions; the headphones pause the music when you remove them, for example. You can expect crisp sound, from the lows to the highs, while enjoying the comfy fit, thanks to the memory-foam cushions and padded headband. The BackBeat Sense's battery lasts up to 18 hours. 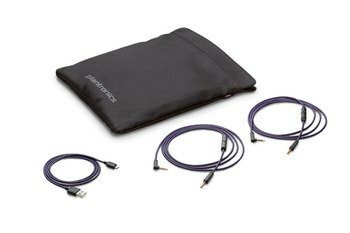 The bundle includes a carry pouch with two zippered pockets. The headphones are good looking and non-garish. 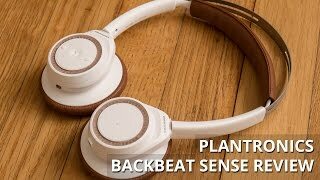 Plantronics’ BackBeat Sense look small on the head, with classic styling...Despite being light they feel like they will last daily life being pulled in and out of bags. In terms of hands-free calling, it's one of the best headsets I've used for call clarity. Dual microphones are used for noise cancelling, meaning your voice gets picked up supremely clearly. [W]hen listening at extreme volumes, the Sense maintain a degree of clarity that’s welcome with any genre. We liked that vocals were never squashed by backing instruments, and while they could be a little warmer in the highs and mids, we didn’t come away feeling like too much was missing. The BackBeat Sense make a sharp first impression with a lightweight, stainless steel headband. But what's best about it, besides the way it looks, is that it never comes into direct contact with your noggin. I wouldn't call it airy, but it's reasonably open for a on-ear model (noise isolation is decent; the ear pads seal out a good amount of ambient noise). Flat cushions on the earcups do a good job of sitting on your ears without adding too much pressure, and we found them to be comfortable overall (they tipped our digital scales at 144g). 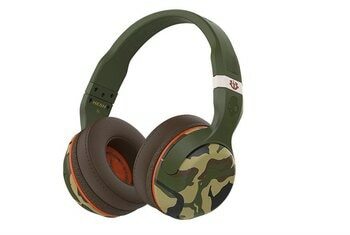 These are supra-aural...so don’t expect the cans to take over your ear. Rather, they sit on top, and they don’t squeeze too hard, either, with the metal band offering a fair amount of flexibility allowing those even even the most sensitive of craniums to don them without fear of tears. The physical controls are responsive, well positioned and easily identifiable...A red button on the bottom [of the earcup] enables Open Mic mode, which uses the two embedded microphones to let you hear what's going on around you without having to remove the headset. There's a decent amount of flexibility that makes it easy for you to tailor them to fit. The adjustable metal headband offers 10 size extension levels. The ear cups also swivel, making it easy to slip the headphones into the front pocket of a plane seat, or store them in your bag. The funky bassline of Scissor Sisters' "Ooh" was warm and thumping, staying prominent in the mix without overshadowing the crisp highs of the snare or the tenors and falsettos of the vocals. The result is a punchy sound with a lot of warmth and clarity. [It's] a smart pair of headphones because it knows when it’s worn or not – thus, able to preserve battery life wherever the opportunity arises. 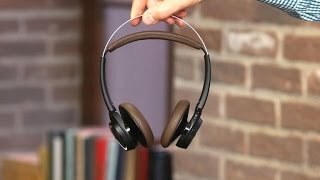 Bluetooth does not limit the audio quality on the Plantronics BackBeat SENSE headphones, and I was able to move through multiple rooms without the audio quality degrading. Those leatherette earpads, by the way, are supremely plush. They’re super-soft, and have memory foam inside that conforms very carefully to the contours of your ears — and the result is that they’re extremely easy to wear and have precisely zero fatiguing effect over longer periods of wear. Some of the charm is in the detailing. Usually, the “L” and “R” labels on headphones are all but invisible, often hidden on the inside of the hinge or somewhere equally tricky to spot at a glance. In contrast, the perforations in the BackBeat SENSE’s earpads are shaped as the letters. Even on a crowded noisy Manhattan street, callers could hear us quite clearly. For all the built-in features and power housed beneath the ear cups, you might expect them to cost much more. 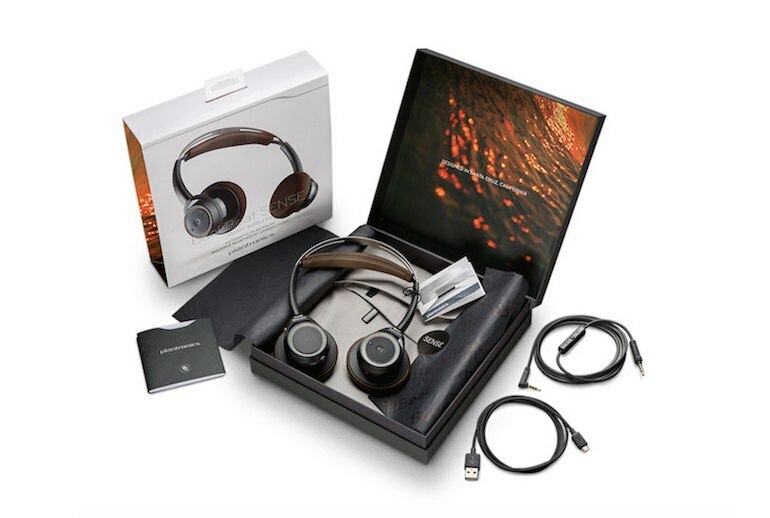 This makes the BackBeat Sense a fantastic choice for those who are on a budget. There is a noticeable bass emphasis, but it’s not over done, which gives the sound a pleasant, full-bodied characteristic. 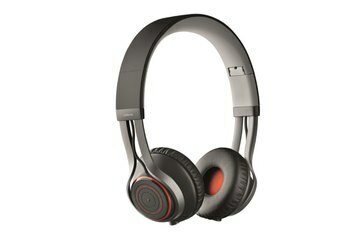 The Backbeat Sense look like the Backbeat Pro+ headphones went on a diet. And when I say a diet I mean a radical, lose more than half of your size and weight diet. 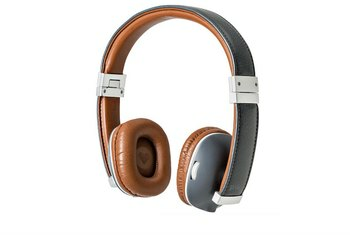 The list of stand-out features goes on: the BackBeat Sense can be simultaneously connected to two Bluetooth devices, making switching between a computer and phone very simple. It [offers] a range of about 330 feet. There’s even a feature to help you locate the headphones if you’ve misplaced them. The earcups rotate 180 degrees, 90 in each direction from their regular position. This allows them to fold flat in any way, which is handy for storing them and more ergonomic when you take them off and wear them around your neck.